The big PVMs exist here I payed R$500 for my 2950Q, R$50 for each BVM-20G1U and R$200 for my G520 (which I got recently). And answering your question, big CRTs, curved, are way less prone to geometry issues. You will probably need to fix some convergence but geometry are usually fine. 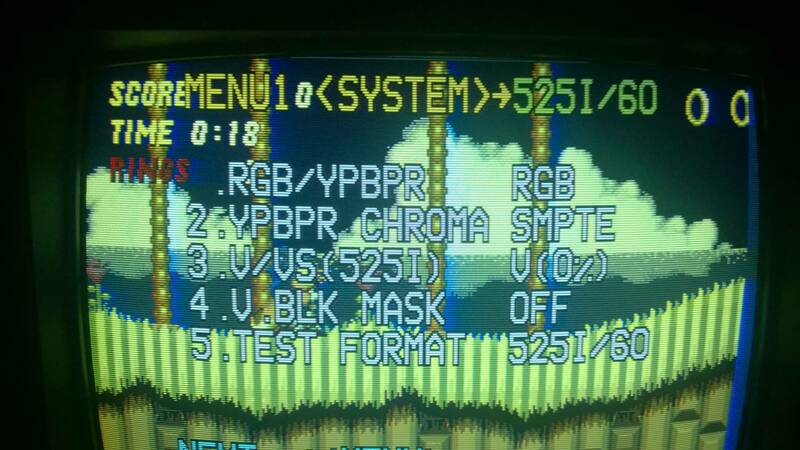 By "large pro CRT" I mean >20". 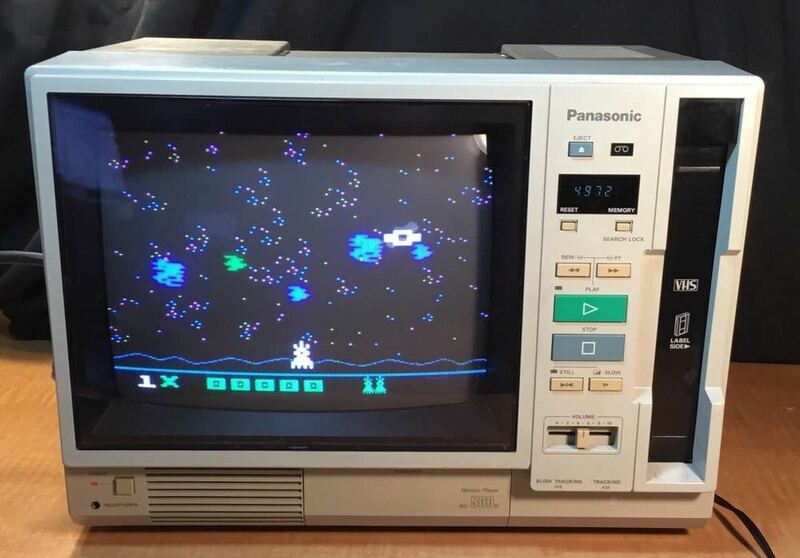 I know it is possible to find one here, but for a price I am not willing to pay, specially for older models PVMs (which I see more often) with maybe too many hours on them. I got a BVM-20E1U for +-U$100 (without controller but still a bargain) but most of the time the prices are (too) high and keep rising. I saw someone selling the same model online for more then U$1000. 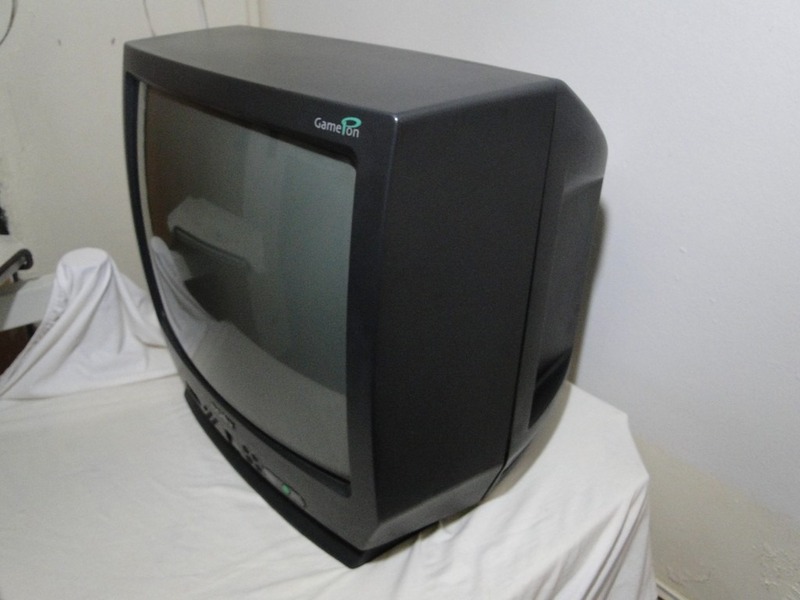 I agree curved CRTs (Trinitron, not FD WEGA TVs) are the way to go. Too bad they only have S-VIDEO (at least the ones I've seen). At least in the US if you want component + Trinitron it has to be a flat tube Wega. If you don't need it to be a Sony, the options open up. Same as here. 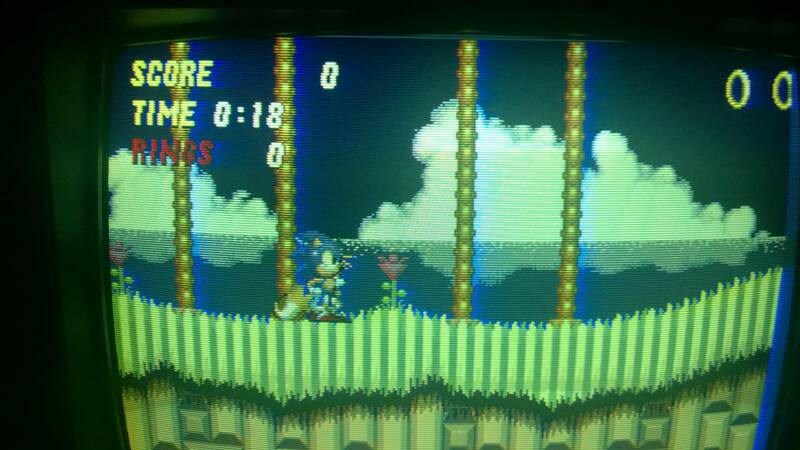 I guess S-VIDEO will have to do for the TV, a 34" CRT will be fun for lightgun games. Got nine units of this model, basic, but good (and new) enough. They seem to be very common here in Brazil. Some people who worked in broadcast TV back in the day say they used composite or S-VIDEO most of the time, RGB was only used for color correction. EDIT: one of the monitors in the picture does have RGB/Composite I forgot which model it is. Love the aesthetics on that. It looks a lot like a microwave. Strange machine, the VHS seems to be playback only, no recording. I had the same thought, almost posted it lol. I like the old buttons on that thing in particular. I had a couple pro VCR decks that were similar. """This unit is called a Presenter. They had various applications, such as playing educational or training videos, as well as advertising promotions in shops. They are very well made, being designed to withstand heavy commercial use. (Domestic 'Televideo' units are not.) They also did not include a TV tuner and couldn't record. This was supposed to make them less attractive to thieves.""" They also have an auto-looping switch on the back so it can play the same short tape over and over again. I'm curious if the VCR player is also hooked up via Composite or something else (only has Composite RCA's on the back - although one of the non-USA version I think has BNC's instead of RCA plugs). I feel like the content displayed on those things probably included a lot of "winners don't do drugs"
The original monitor in one of my cabinets had that burned into the screen. Anyone ever heard of SONY Game Pon TVs, designed to be used mostly with game consoles? These were available in 14 and 20 inches, had two AV inputs (front and rear) a "GAME PON" button that directly selected the AV input, and an AC OUTLET on the side, to power the game console. I think they were not distributed worldwide, and, what I found most intriguing is that they do not use SONY TRINITRON tubes. Apparently, they were low-cost TVs, I wonder if SONY made these tubes, or just slapped their logo on it. Are you the same person who posted these on 'The CRT Collective' Facebook group? Was a discussion about those a little bit ago (forget what, if any resolution they came too - but general consensus was they're not Sony Trinitron tubes). No, wasn't me. The pictures I posted are from Google/Mercadolivre (Ebay in Brazil). It seems these were not avaliable in US or Europe. Only found pics and info on South American and Asian websites. I believe it was meant to be an affodable gaming TV, like, a second TV for the kids/bedroom. The vertical curve would rule out them being Trinitrons. Surely Sony bought the tubes from someone else then right? Unless they had a cheaper line of CRTs that weren't aperture grille tubes. Just got a 14" Sony "Gamepon". Looks good, like the picture of a JVC or Panasonic CRT. Will post pics later and open the case to check it out, maybe find out who made the tube. He said she never really liked the Master System, so both items were barely used (the game console was already sold). So I got this 90s time machine for +-U$10 and it's like new. Not a Trinitron, but still a good deal. This looks really nice - do you know what model/make this is? The shadow mask TV pictured above is a "flatscreen" model? I was talking to a friend the other day (who really likes Ikegami monitors) that some high TVL shadow mask CRTs have a more natural and harmonic look to them. Basically for a consumer TV, these days hours of use is more important than make/model. It's a curved tube, you can see it on the bottom left of the picture. The were made late just before flat panels went mainstream so there are still good chances to find some with low hours. 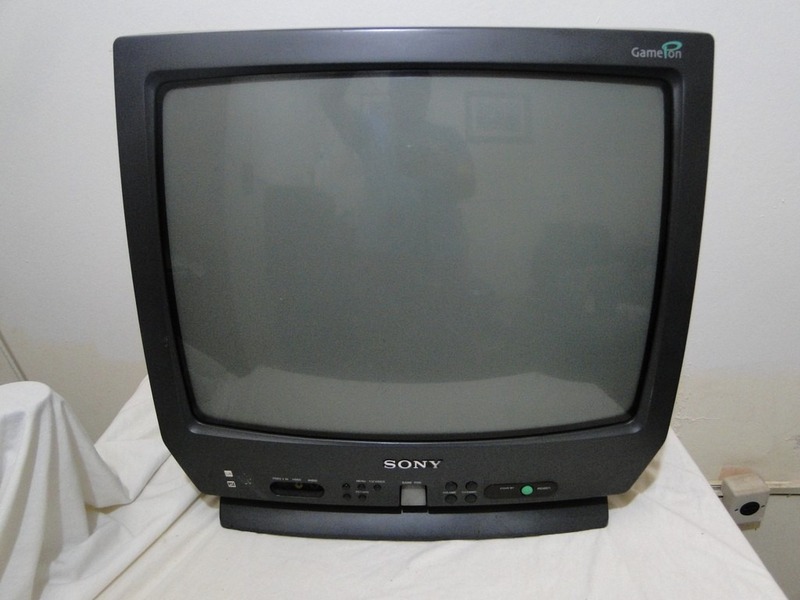 I think I already asked this awhile back; but did Sony or another good brand ever produce consumer bedroom CRT's around 14 inches with RGB SCART in? In Europe we've had plenty of 13"~14" - and even some less common 19" - from all name brand manufacturers, most if not all with scart RGB indeed. Those were also very common in VCR combo form. Thing is, they're also the first ones to have been brought to the recycling dumps...so they've become more difficult to find than the 21"~27". 14" was by far the most common TV size. Every manufacturer made them until the end of CRT production. This size is called 13" in the USA because the viewable screen diagonal is in fact 13" (34 cm). Everywhere else it's called 14" because the tube face diagonal is 14" (37 cm). A 14" European Sony TV is as rare as ice in Greenland. 19" (18" viewable) is common as a PC monitor size but not as a TV size which became obsolete in the 1980s. A Sony 19" TV cannot be more recent than ~1986. Yeah I know about the size differences thing, but I don't feel like telling every time. As for most common size I don't know where you live but in my country 21" was the most common and by far from the early 90's to the end. Sonys in 13/14" also existed of course, few in numbers but they were definitely available till the end, I've seen some, it's just that people wouldn't put too much money in a small TV anyway so the sales must have been low. That 19" Sony I have must be a mid-end 90's model, typical fit matte black plastic design of the time, definitely not 80's, it's possible that it's labelled as 20" following the usual pattern, someone simply told me "right it's that elusive 19" but I'll check next time I can (it's stored at my parent's). It's clearly a bit smaller than the common 21" anyway that's certain. Unfortunately it's in very bad condition, I don't think I'll be able to restore it. Does anyone know what would cause this on my Ikegami TM20-80RH? It only happens with RGBS, if I hookup component and set the RGB/YPBPR to YPBPR there isn't any of the distortion or whatever you would call it. Same with composite being used. It only seems to show up when using RGB no matter what system is used. I have the exact same issue with my Ikegami, I've been told it is possibly a deep sub menu setting that set to receive sync on green, but I've not been able to find it. Was this issue ever resolved? I was lucky to get a Burosch Con-1. It came without power supply, which isn't a problem, since I have plenty of spare 12V PSUs. The one I have left is a unit with an internal PSU, so I just have a hardwired power cable on it that directly plugs into an outlet. Burosch as a company still exists - I would just send them an email.